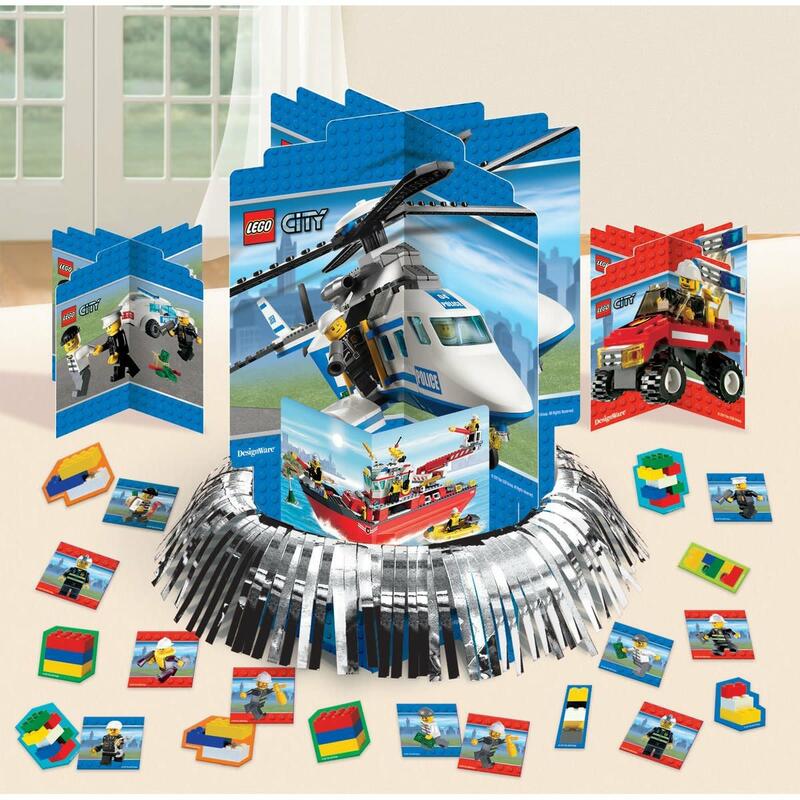 Many children love to have a birthday theme incorporating Legos into the festivities, and there are numerous ways to include Legos as part of the celebration. 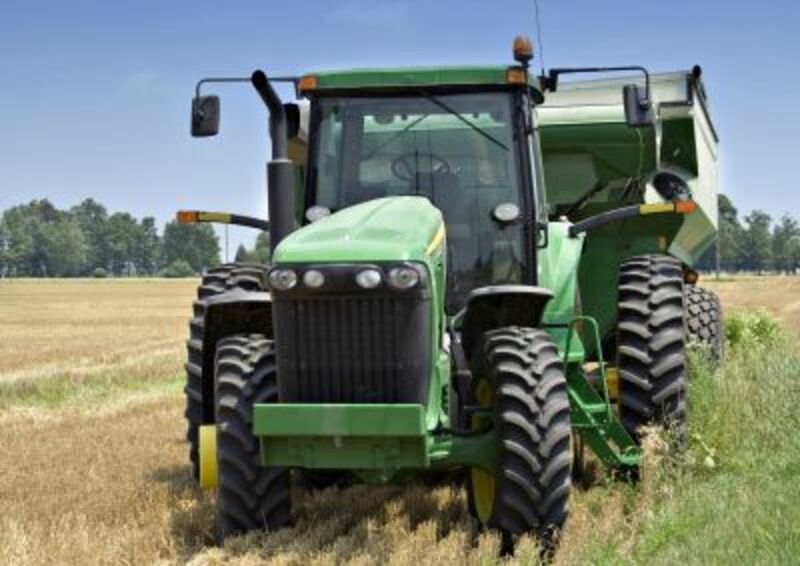 There are numerous ways to tackle the job. The first is to ask the child if there is a secondary theme concerning the Legos. For example, is the child thinking of a specific Lego theme which includes Star Wars characters, a construction zone, or something different. So many Legos options are available now that you need to ask to get feedback so the child isn't disappointed if there was something specific being thought of but wasn't communicated. So be sure to ask to ensure a quality and satisfying experience for everyone involved. Once that is in place, you can start to think of other elements of the Lego birthday party theme. 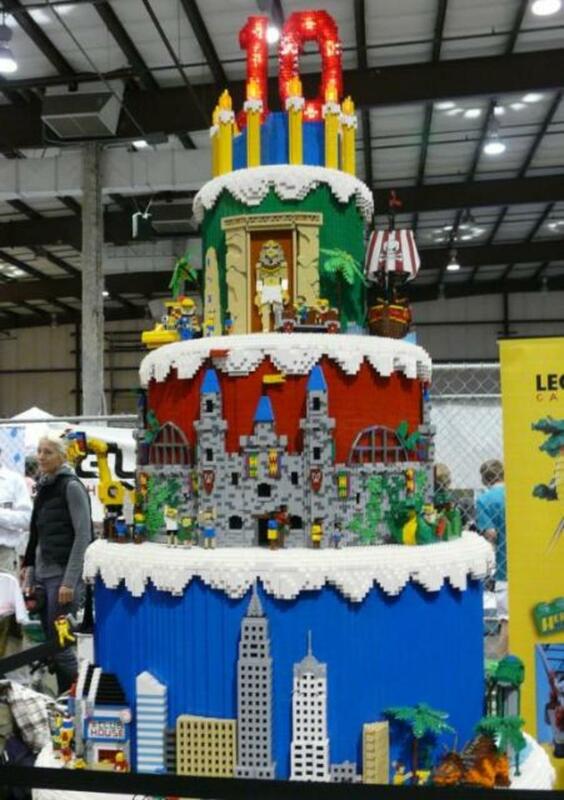 One thing that a lot of people do is to make a Lego cake using Legos, or they make a real cake which has the look of Legos. If you have the time and are talented enough, or someone else in the family is, you could do both to the delight of the birthday boy or girl. Another thing done using Legos is to make things like cupcakes and place Lego blocks on top to create a nice effect for a child looking for everything Lego. All that have to do is take them of the frosting and of course will lick all of it off of the bottom of the Lego piece. This should be done with new or cleaned Legos. Little Lego characters are also an important thing that could be done, with the favorites of a child placed strategically on a cake. You get the idea. As long as you know exactly what the child is expecting it'll be a wonderful experience for all. I don't know if it could get much better than a Lego City Centerpiece for a birthday party, but as long as the other characters or themes are included, it would assuredly impress the child desiring a Lego party. You could add many other figures and objects to make it part of the overall Lego theme desired by the birthday child too. 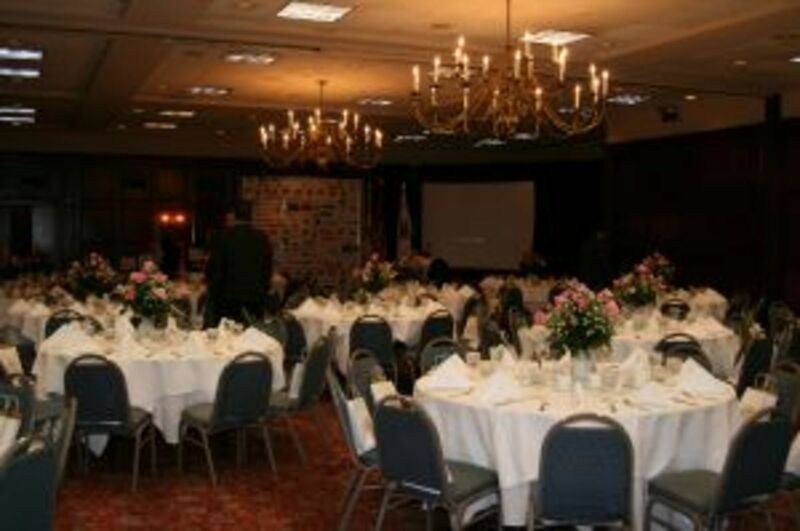 Also available is a centerpiece right out of the box which can be set up fairly easy and quickly. 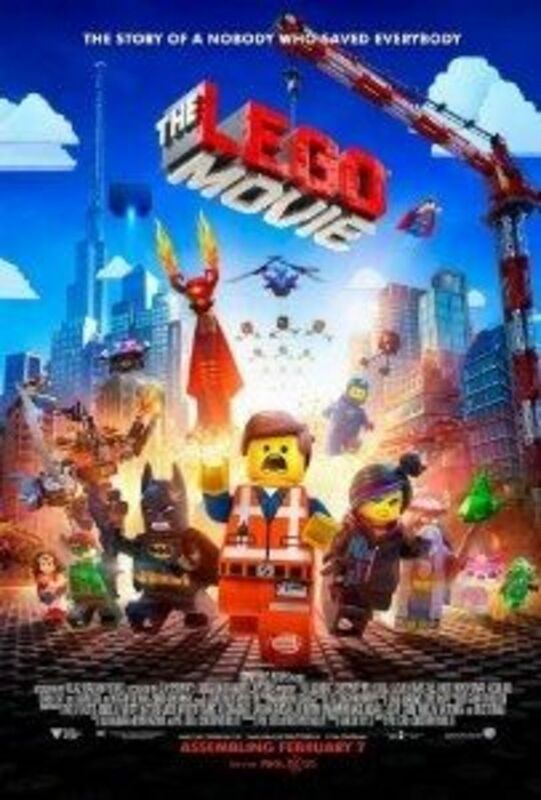 That is below this Lego design on top. The idea isn't that these are the specific ways a Lego birthday centerpiece needs to be done, but that there could be a centerpiece - even if a more modest one - that fits the Lego theme for the party. A Lego cake could also fit the bill there. 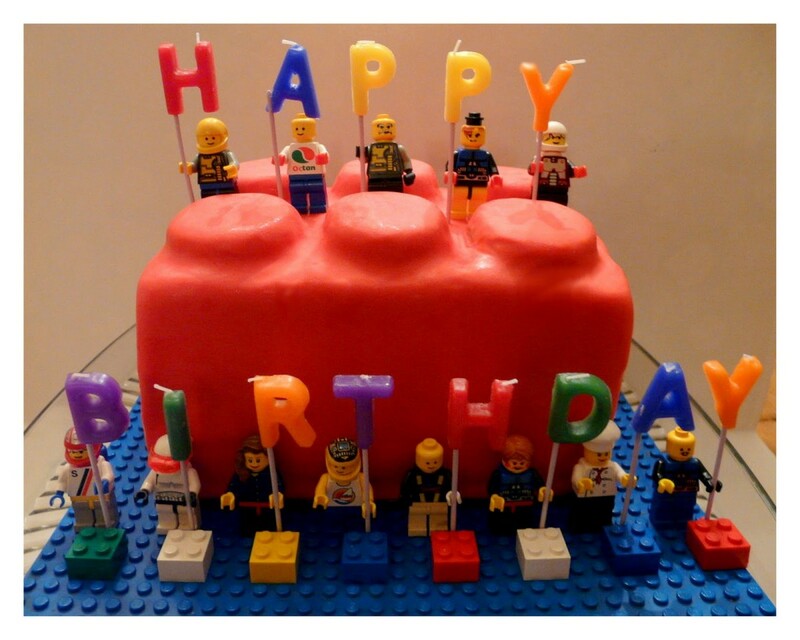 This is a very cute idea for a Lego birthday cake that should delight any child. The cake itself wouldn't be too difficult to make as far as the shape goes, and from there all that's left is to decorate it with the characters the child wants. I really like the way the little characters were arranged with the happy birthday salutation. Seeing them all lined up like that would be very compelling to any child wanting everything Lego for a birthday. 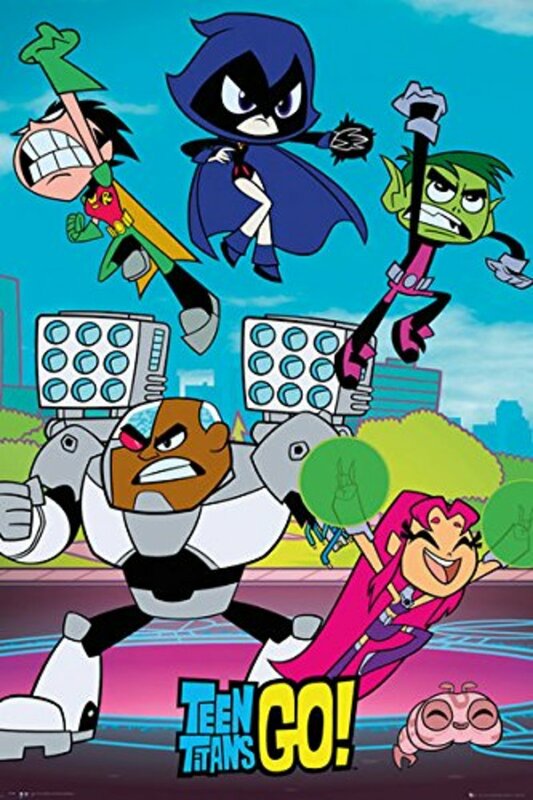 Don't worry if you don't have enough characters in the genre your child is interested in, just be sure to have them in the front and center where it is known that is the main focus. Adding other complementary characters won't be a problem then. 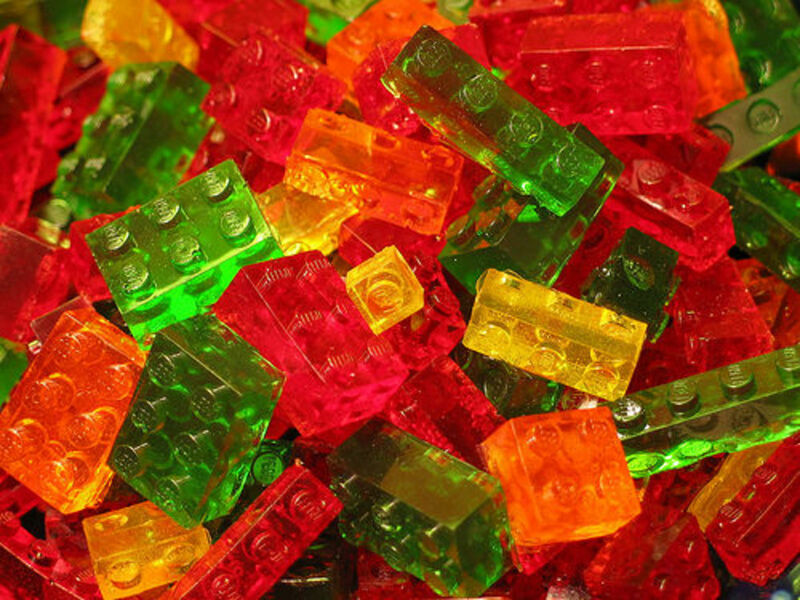 These may not be the visual attraction that creates the wonder and delight of children at a Lego-themed birthday party, but once the children start munching on these gummy candies in the shape of Legos, I'm sure they'll at least temporarily forget all about everything as they consume the colorful delights. It's very cool that they were made with the color of Lego blocks in mind, as well as the different shapes and sizes. The children will love these. What child's eyes wouldn't open wide when they see a gift bag with their name on it in the shape of a Lego. 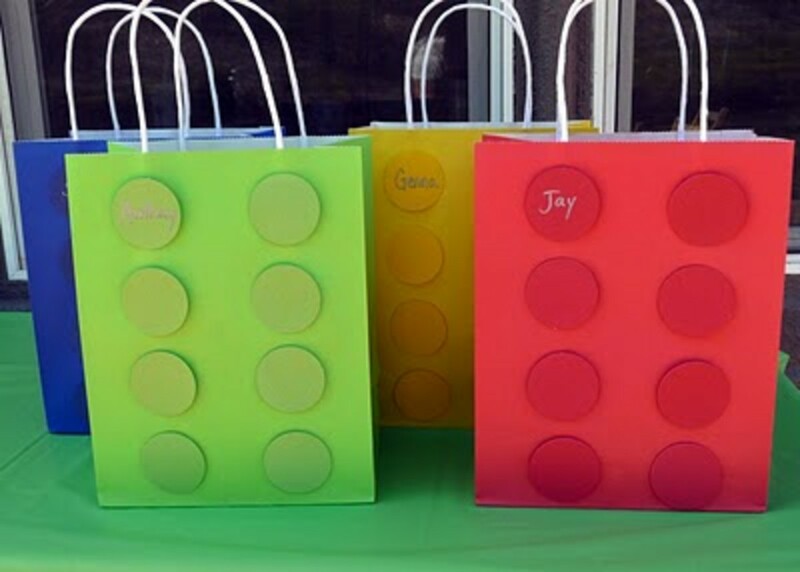 These colorful bags with a handle are perfect for allowing all the children to feel happy about getting something at the party. Again, having the bags made not only in the shape of Legos, but the colors also, make it even more enjoyable for the children, of whom most will probably save them for their own fun and use at home. 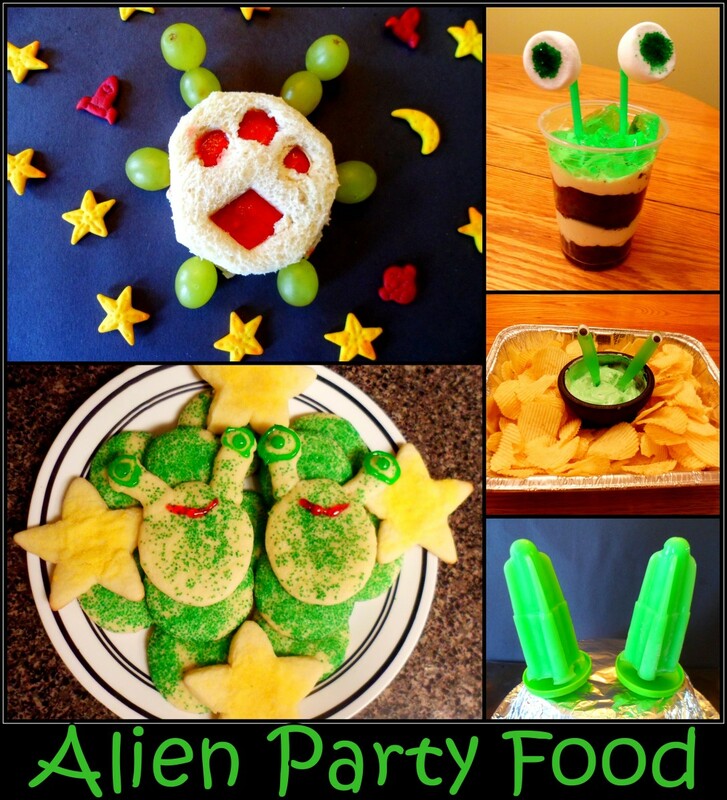 These are a good example of the many products available that will reinforce and enhance any birthday party celebration. Concerned about having enough ideas and dinnerware to support and create a great atmosphere? 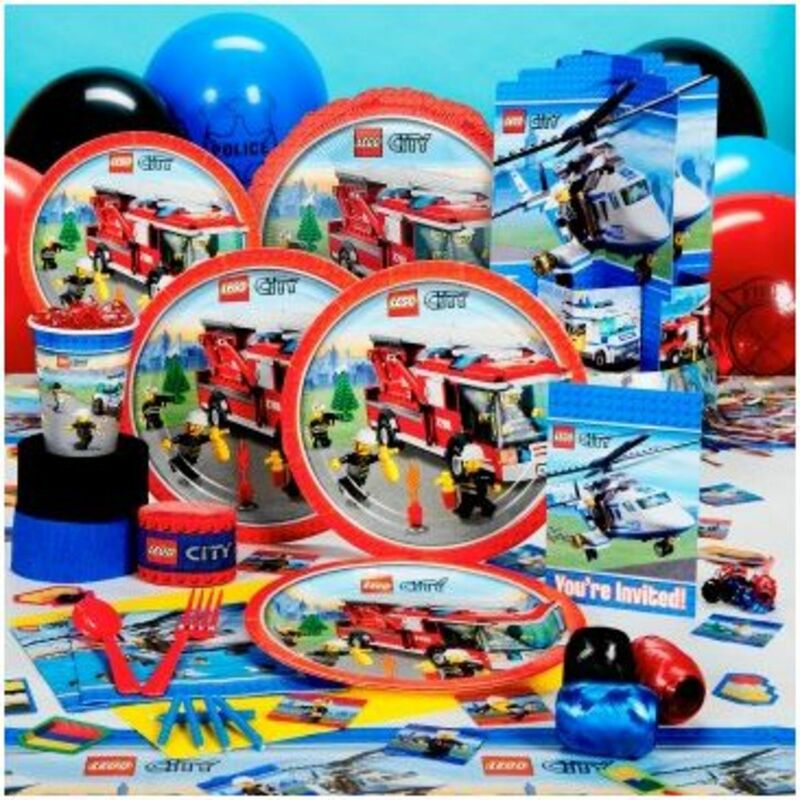 This Lego City party set includes everything you would need as far as plates and utensils that include Lego themes and characters on them. Eight invitations, dinner plates, cups, forks, spoons, activity place mats each; sixteen napkins, Lego City table cover, centerpiece, foil balloon; Six Lego City latex balloons; twelve latex balloons (in 2 colors), crepe paper rolls (2 colors) and one Lego City paper roll, curling ribbon (in 3 colors) and cake candles. How easy and simple to get a package like this so you can focus primarily on the other Lego decoration ideas. As many ideas as there are for a Lego birthday party in this article, it's barely scratching the surface for ideas and products that could be made or acquired to have a fantastic birthday party for a child. The major challenge for most people would be to narrow down the possibilities so plans can be made for the design and accompanying products and objects needed to make the party a success. 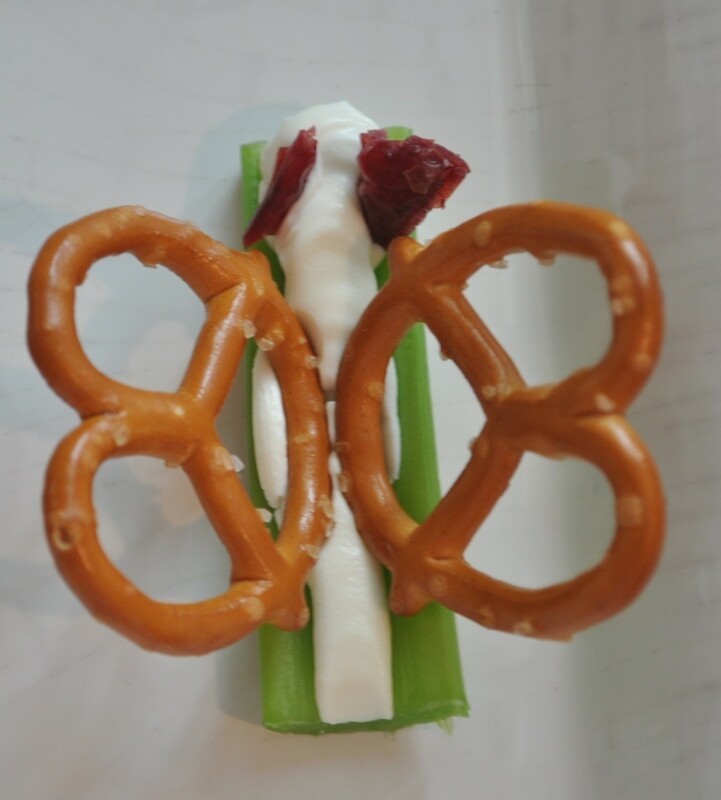 Once that is done, the task won't seem so daunting, and then you can start to plan and put the party together in a way that the child will never forget. All of this makes for great photo moments, so be sure to have your camera ready to snap photos and/or take video.